While visiting Mexico, too many travellers fail to venture from their All-Inclusive Resorts and miss out on the full Mexico experience. If safety is a concern, you may feel more comfortable to explore the city with a Voyalific local. Someone who knows where they are going, is confident in their surroundings, and wants to help you experience the culture of Mexico City! Book your tour, connect with your local, and start exploring! Here is where to hear the best music, see the best history, eat the best food, and have the best time. This specialty museum is the previous home of artist Frida Kahlo, and is now dedicated to her famous work throughout the 20th-century. The home is so well preserved, visitors say you can almost feel as if Frida and Diego are still in the house. Some warn against long lines, so you may want to purchase your tickets well in advance! The museum hosts popular Mexican art with vibrant colours, materials and cultural expressivity. The artifacts represent different regions and time periods within Mexican art and culture, providing a true sense of Mexican history and creativity over hundreds of years. It is open Tuesday through Sunday, admission is 40 pesos, and is free for students and teachers! This museum has been open since 1986, set to display and preserve Latin America’s largest collection of decorative arts. It is named after stock broker and financial professional, Franz Mayer, who amassed the collection. It features fine artworks, books, ceramics, furniture, textiles, and potteries he accumulated over fifty years of his life. Much of the artwork comes from Europe and Asia, but most originated in Mexico itself. Looking for a night of great music, drinks and dancing? Look no further! 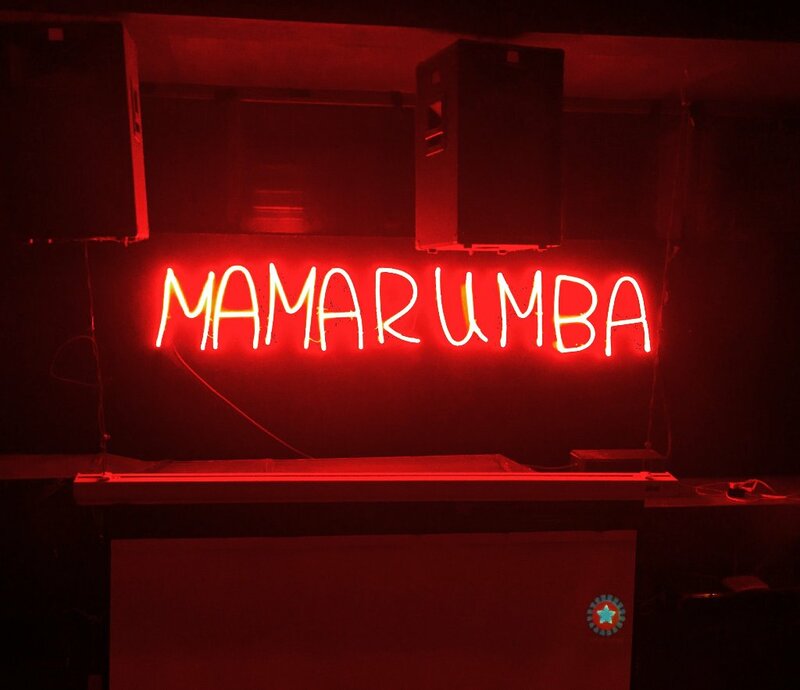 Go on a week night or weekend, the place is always hopping with live Salsa, Cuban, and Reggaeton music. The place is filled with charming locals always eager to teach some salsa steps. If you’re more one to sit on the sidelines, you can sit back with a mojito and watch the couples tearing up the dance floor below you. The music is exceptional and the energy is unlike anything else! This museum is HUGE. 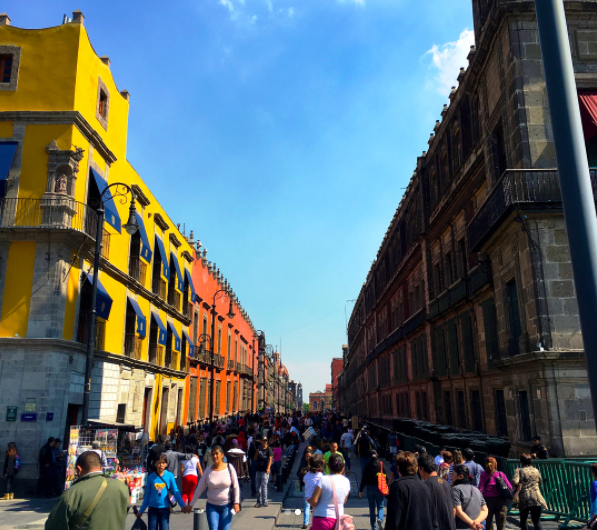 Most visitors recommend spending a day in order to absorb all of the Mexican culture and history, but others were able to move through efficiently in a few hours. If time is limited, the Mayan and Aztec rooms are a must. This park or urban garden is also referred to as Parque San Martin, and is located in Colonia Hipódromo within the Condesa area of Mexico City. It features plenty of things to do for families and skateboarders alike; most famously hosting impressive architecture and decor, in addition to being one of the largest green areas in the city. Be sure to check out the dog park while you’re there! This park is a natural reserve as well as part of a World Heritage site (Chinampas – the artificial lake islands, 1993). The featured plant market spans 13 hectares, making it the largest in Latin America. The park and market can be found south of Mexico City in the hub of Xochimilco. This is a large and beautiful park, housing botanical gardens, monuments, a boat house, a zoo, a castle, gorgeous city views, vendors, and lake activities. It is expansive enough to have your own spot by the water to relax, or enough room to exercise throughout. The name translates to be ‘square of the three cultures’, and the plaza is influenced by Aztec, Spanish, and modern Mexican cultures. It also represents the three periods of Mexican history, with pre-Columbian, Spanish colonial, and the ‘Mestizo’ nation. It is the famous location of the Tlatelolco remains, an old Aztec city. I went today to the 3 Cultures Square in Mexico City is in recognition of the three periods of Mexican history reflected by buildings in the plaza: pre-Columbian, Spanish colonial, and the independent "mestizo" nation. I'm mestizo. In the Spanish system of racial hierarchy, the mestizos, who formed the majority, had fewer rights than the minority "elite European-born persons". Still the same! The Basilica is a famous church, located where a Native claimed to have seen the Virgin of Guadalupe as far back as 1531. The site now holds an image of her, which is recognized to be the most famous religious icon in all of Mexico. Visitors are thoroughly impressed by the architecture of the Basilica, as well as the contrast between the new and the preserved historical buildings. If you are not there for religious or spiritual purposes, you can always enjoy the playground and walking trails, which take you throughout the mountains and are filled with wildlife and interesting vegetation. The historical castle features various expositions of the history of Mexico and of the castle itself. This castle was recognized to be the ‘cradle of power’ in Mexico for years, with the emperors and presidents living here. A great battle between Mexico and USA took place here, in which Mexico lost it’s position and was forced to relinquish half it’s territory. The castle preserves this history, while also providing a beautiful garden atop the roof with butterflies and a stunning view of the city. This spot is located about an hour outside of Mexico City (there is a local bus that can take you there), but many say it is worth the trip! It is an archeological wonder and a historical gem, while also providing a stunning view to reward you for your climb. You can find these historic ruins while strolling through the heart of Mexico City (el centro/historic district). You’ll have to keep an eye out for it, as it is slightly hidden behind a construction site – representing the layering of history and civilization over time. 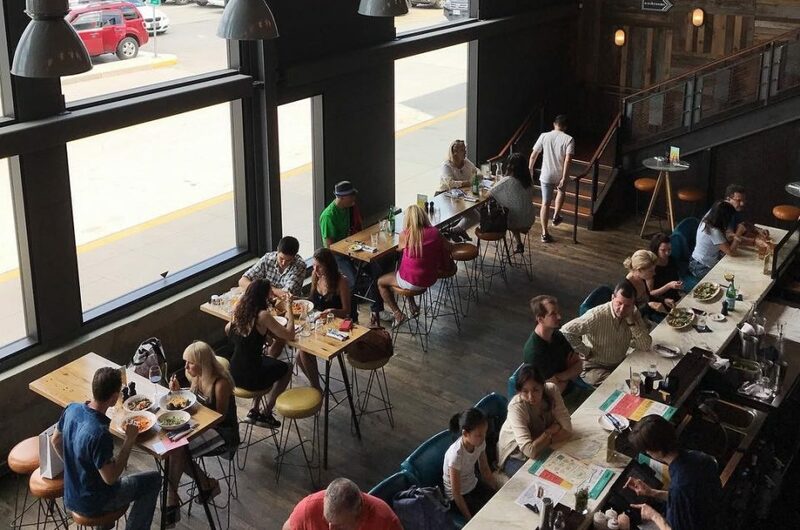 This is a great place to try new and interesting local foods (that you may not typically consider to be food). Some stalls offer lion, leopard, crocodile, and more! The vendors are very kind and happy to offer samples of any fruits and vegetables. They also sell meats, salsas, fish, cheese, dried chilis, sauces, whole geese, and even edible flowers. Great to shop here at reasonable prices, window shop, or get a quick bite. This is one of the countries best known produce market, selling almost anything you can think of! You will also find household items, clothes, shoes, food, toys, and even cleaning supplies. This market will provide you with a very authentic Mexican experience! This outdoor market has a different feel than those listed above, as it sells primarily furniture, clothing, toys, records, books, and accessories. A large flea market with old and new things, great spot to check out local culture! Visit on Sundays for special antique vendors – come early and bring cash. This market space hosts coffee shops, restaurants, museums (Frida Khalo’s), gardens, and churches. You can find pottery, accessories, clothing, masks, candies, fruits, and whatever else you can imagine. It is an authentic and local atmosphere, but is also welcoming to tourists. Bring cash and try to bargain! This neighbourhood is known as the trendy part of Mexico City, where you will find niche coffee shops and stores, nature & wildlife areas, parks, and landmarks. It is quiet, with tree lines streets, endless bistros and cafes, and art deco buildings. While strolling through, take a walk down Avenida Amsterdam, Avenida Mexico, visit Parque Mexico and Espana. Now pour some tequila and cheers to experiencing Mexico outside of the resorts!